It’s no secret that camera sales are down, thanks mostly to the convenience and capabilities of smartphone shooters. Who wants to carry another device just to take pictures? 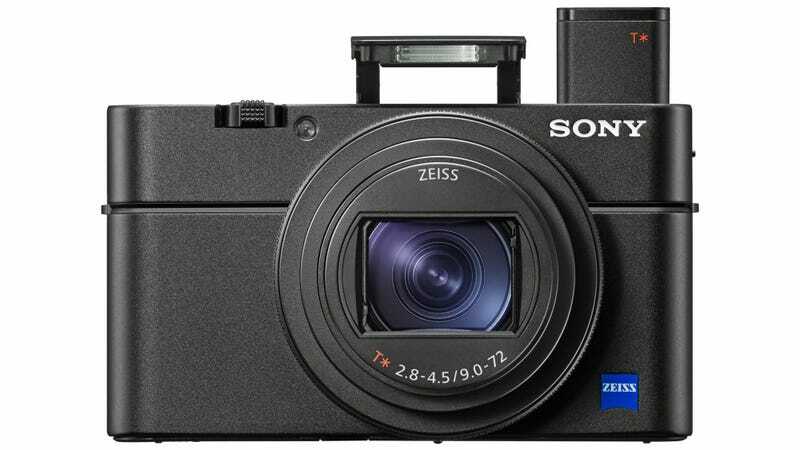 That’s the question camera makers are currently facing, but with the Rx100 Mark VI, Sony has a solid answer in the form of a gigantic 24-200-millimetre zoom lens that disappears into the camera. As compact cameras go, for years Sony’s RX100 line has struck a solid balance between quality and performance that appeals to enthusiast-level photographers, with a compact form factor you can easily find room for in your everyday carry. The fact that Sony has just announced the sixth version of this camera is proof enough of its popularity, even if smartphones continue to nibble away at Sony’s sales. Over the years the RX100 line has seen continued improvements in sensor resolution, autofocus speed, and hardware—including the addition of a pop-up viewfinder—but with the 20.1-megapixel Mark VI’s massive 24-200mm f/2.8-4.5 lens, Sony is improving the one feature smartphones won’t be able to replicate. Squeezing that telephoto lens, made up of 15 glass elements in 12 groups, into a body as small as the Mark VI’s is nothing short of magic, and 8X optical zoom with built-in image stabilisation (a must-have at this zoom level) suddenly makes the latest RX100 even a viable alternative to Sony’s Alpha series of cameras. I upgraded from the Rx100 to Sony’s a6500 for the sole reason of using a zoom lens, and this model might have kept me in the line. But a giant zoom lens isn’t the only improvement Sony’s made with the RX100 Mark VI. Its 24-frame-per-second, 315-point tracking and autofocus system can now lock onto your subject in just 0.03 seconds, 0.02 seconds faster than the Mark V could. It can also snap up to 233 consecutive images before its internal buffer gets filled, requiring a few moments to write all that data to the memory card, which is up from 150 consecutive shots with the RX100 Mark V. And if you’d rather focus on another area of the frame than the autofocus system selected, the Mark VI’s 180-degree rotating touch screen lets users simply tap or drag the focus point to a different part of the frame, instead of trying to move it around with a clumsy scroll wheel joystick. When it comes to video capabilities, the RX100 Mark VI remains a 4K shooter at up to 30 frames per second, but Sony is introducing new HDR capabilities and a Hybrid Log-Gamma picture profile for videographers who prefer to do as much colour correction in post-production, instead of in-camera. When dropping the video resolution to 1080P, the Mark VI can spit out 120 frames every second, and that framerate can increase up to 1,000 FPS if you’re OK with only shooting at NTSC resolutions. 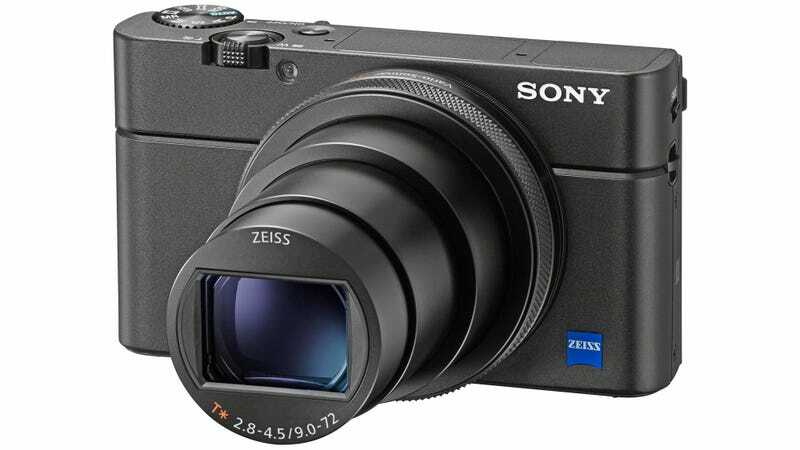 Sony has managed to squeeze everything into a body that’s virtually the same size as the past few models of the RX100, keeping it compact and easy to carry. What hasn’t remained tiny is the price tag for this line. The RX100 Mark V was the first to hit the £1,000 mark, and the new Mark VI pushes that to £1,150. That’s creeping closer and closer to Sony’s top Alpha cameras which allow users to swap lenses. But if you don’t want a heavy shooter hanging around your neck, the RX100 continues to shed the compromises and trade-offs for going small.